Professional holes, dug to military specs! Join the military and you'll learn to dig holes. 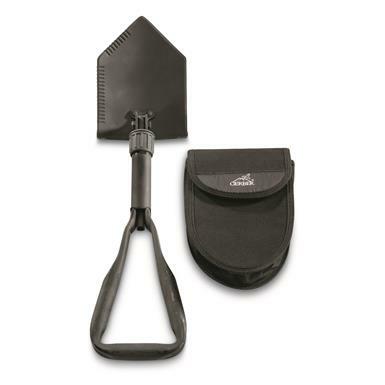 Get this Shovel, and you'll be able to dig them anywhere. Steel spade slices into dirt with ease. Serrated edges help saw through stubborn roots and other vegetation. When fully extended, the Shovel is 23" long but folds down to just 9.25" to fit in any pack. 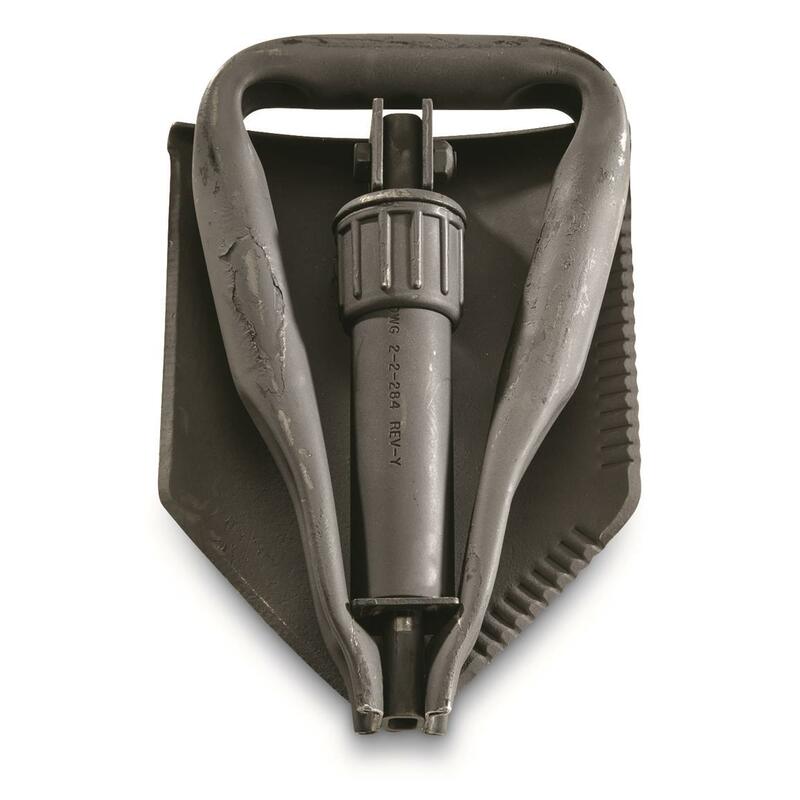 The perfect camping Shovel, and a general must-have for potential survival situations. Made to tough U.S. military requirements, here for LESS!